To make your hands and feet look & feel gorgeous we suggest getting a Manicure or Pedicure done!!! Everyone benefits from a Manicure or Pedicure treatment. It is deeply relaxing, can give confidence to the receiver about their appearance & help maintain healthy hands, feet & nails. The most exposed part of your body is your hands & fingernails, as they are always on show. In summer, with pretty sandals and bare feet the order of the day, your feet & toenails are exposed to scrutiny as well. Nothing looks better than clean well-maintained fingernails and freshly painted toenails. Regular manicures and pedicures will enhance the health of your fingernails and toenails, promoting faster growth and maintaining well moisturised cuticles. VINYLUX™ is a revolutionary weekly polish system offering durable, high-shine and week-long wear. Innovative system includes a self-adhering colour coat that eliminates the need for base coat, and a top coat that becomes more durable when exposed to natural light to ensure no chipping or scratching for at least one week. VINYLUX™ dries completely in just eight and a half minutes compared to standard nail polish that dries in 15-20 minutes on average. 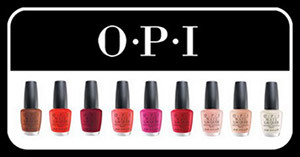 Serenity also offers OPI colour for manicures and pedicures. Having trouble fitting weekly manicure/pedicure regimes into your busy schedule? Want 3-4 weeks of “divine flawless nails” without the chipping, breaking, fading, and smudging associated with a basic manicure? Well, Serenity beauty is proud to introduce Shellac Gel Manicure and Pedicure by CND to our list of natural nail treatments. Shellac is a revolutionary nail treatment technique that cultivates and enhances natural nail care, by utilizing an ingenuity that provides nail growth protection. Shellac ceases the “Gel in a Bottle” concept and bestows an everlasting, immaculate finish that dries within seconds. With 45 luxurious colours to choose from, Sole Beauty will “indulge your nails”. CND Shellac™ is the original and only power polish service, empowering you, the real woman with 14 days of superior, chip-free colour no matter what life brings you. No nail damage, because there are no drills or nail surface filing required (even for removal). Easy on and easy off in just 10 minutes.